Giveaway! Which Book Location Would You Like To Visit? 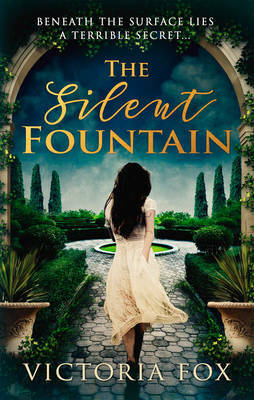 The Silent Fountain by Victoria Fox is a stunning, Gothic tale of two women in very different decades who nonetheless find themselves trapped in an idyllic Italian villa. The only escape lies in unearthing the property’s secrets…secrets you can uncover for yourself with this giveaway! The Silent Fountain may not be on sale until October 31, but we’re giving you the chance to get a copy of the ARC. Just head on down to the comments and let us know which book location you’d like to visit. Would it be Italy, like in The Silent Fountain, or somewhere else entirely? Tragedy sends troubled film star Vivien Lockhart into the arms of Giovanni Moretti, and it seems her fortunes have finally changed. Until she meets his sister, and learns that her new husband’s past holds dark secrets. Giveaway: Open to residents of the US and Canada, excluding Quebec. Contest closes October 10, at 11:59 p.m. ET. Five (5) winners will be selected from all eligible comments and announced here on or around October 11. For full official rules, click here. Paris, France …. would love to see the city through the eyes of the main character in the book Zazie! Yes an Italian villa would be dreamy, but I would love to visit Pemberly! I have always wanted to visit Tuscany! The Savannah, Georgia in “Midnight in the Garden of Good and Evil”! I have always dreamed of visiting Paris and seeing the Eiffel Tower at night. I want to visit London. My wife would absolutely love to see the cool Istanbul, Turkey. The fascinating and amazing Tangier, Morocco, my wife would definitely enjoy visiting. My lady friend likes intriguing novels, and Cuernavaca, Mexico would be just marvelous. for all occasions. I really like great books, and Florence, Italy would be wonderful to see.all of the time. A captivating Cartagena, Colombia would be a fabulous place for my girlfriend to visit. An awesome Pamplona, Spain would be just right, for the day and my wife.